Africa GeographicDestinationsSouth AfricaMadikweMagnificent and mesmerising Madikwe! 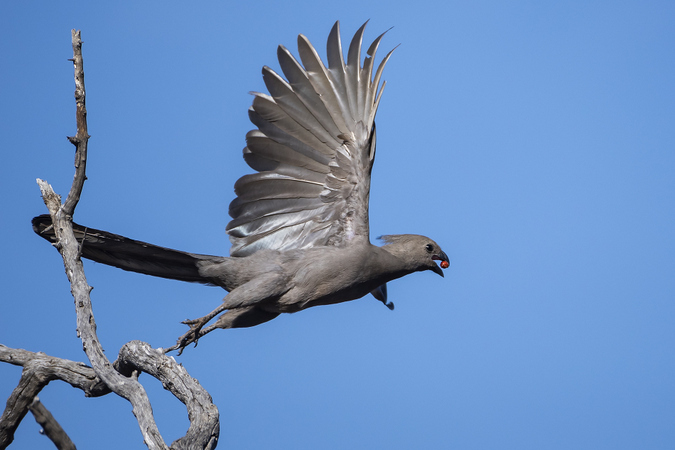 “Madikwe – where is this – Kruger?”, exclaimed a few of my friends when I informed them about the location of the photographic safari I was co-guiding in South Africa. 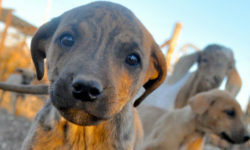 Even I was a bit sceptical, not having visited Madikwe Game Reserve in South Africa before, and knowing very little about it. Leading a group to a new place which you, as a mentor, are not fully familiar with is always a huge risk. 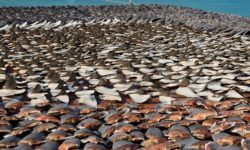 But once I had researched everything I could about it on the net, I became increasingly intrigued – especially when I learnt how this once barren land was transformed to a wildlife haven in the short span of less than two decades. 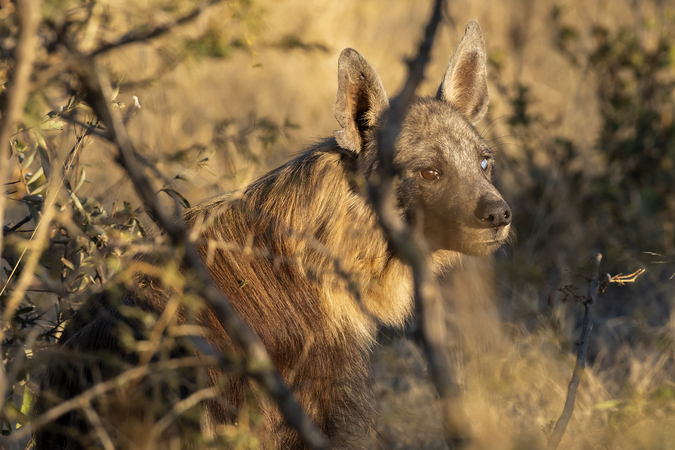 The day finally arrived when my guests and I found ourselves on our way to Madikwe, one of the largest reserves in South Africa, located close to the Botswana border. 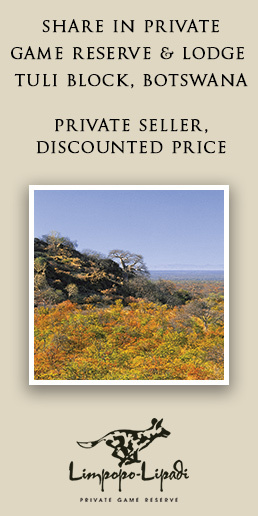 The 75,000 ha (750 km²) reserve is malaria-free and easily accessible via a short flight from Johannesburg or by road. 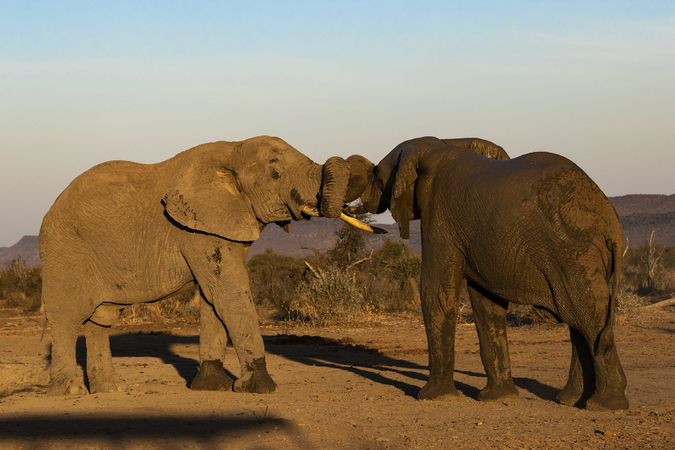 We had taken the road option and as our transfer driver, Eric, took us through the Molatedi Gate into Madikwe we were welcomed by an elephant crossing right in front of us! And not a moment later a pair of rhino kept us busy with our shutters. We all were incredibly excited! Already two of the Big 5 were already captured on our cameras and our safari hadn’t even officially begun! Soon we arrived at our destination: Kukama Lodge. 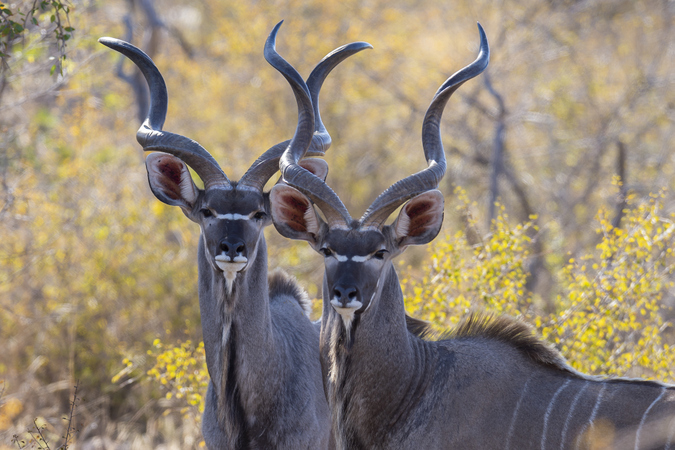 Kukama in the local language means ‘oryx’ – a beautiful, long horned antelope. Kukama is an eco-lodge, superbly crafted with three spacious cottages and one family cottage. We were warmly welcomed by Francois, the photographic guide, and his team. They briefed us on the safety regulations and other details before we settled in. Soon we discovered that we didn’t need to go far to see wildlife, as there was a waterhole right in front of the deck. I was impressed by the fact that the water being used by the animals is actually recycled and purified water from the lodge. 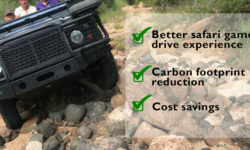 What a great way to conserve natural resources and reuse them wisely. This waterhole in the coming days was to provide us with some great photo opportunities! 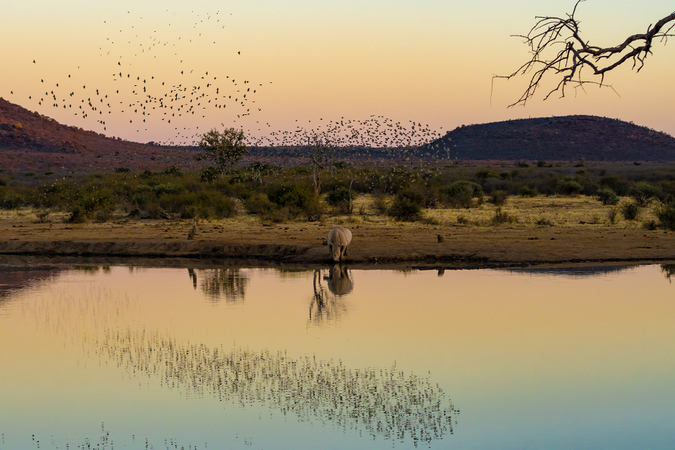 If you are a serious photographer, than I would suggest that you bring a tripod and a remote shutter release to get some unique images of wildlife visiting this waterhole – something that I will definitely do for my next visit to Madikwe. Already impressed with the experience at the lodge, we settled into our private Land Cruiser for the first evening safari with Francois, who took us to the nearby Madikwe dam where we spent our evening with rhinos and elephants. 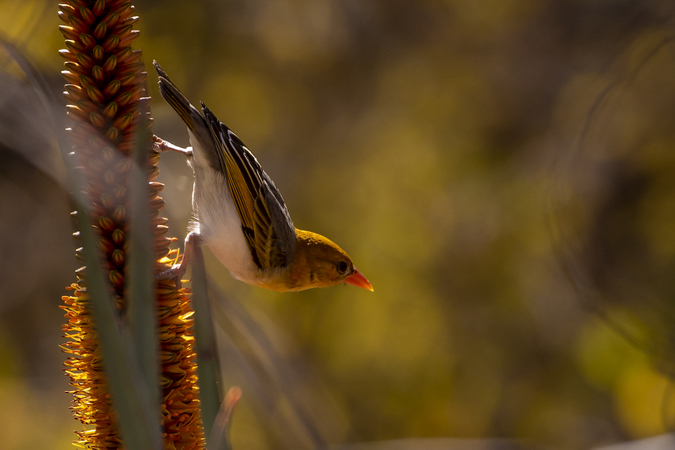 Flocks of red-billed queleas murmured over the shorelines, providing a one-of-a-kind photographic opportunity. After an electrifying start with our first evening safari we were all energised and ready for more. 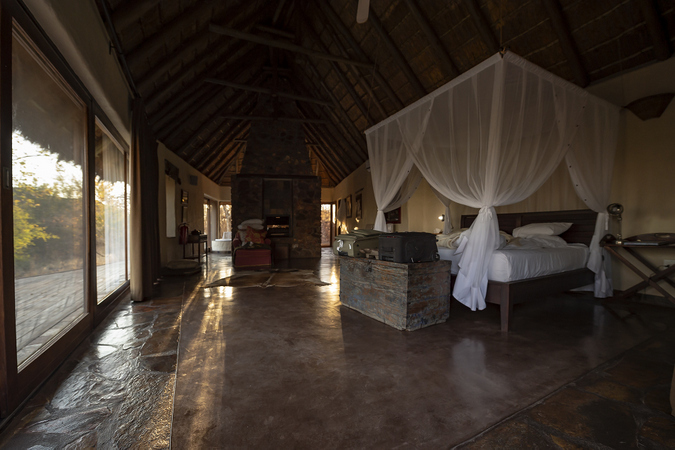 Getting up early to start next day’s morning safari had never been easier! 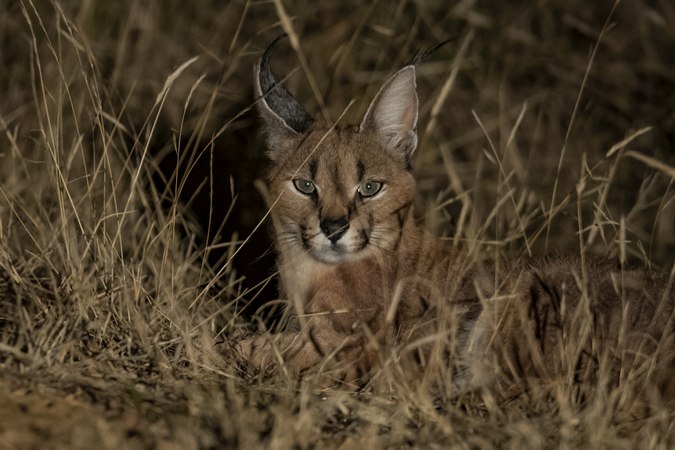 Francois took us directly to a lioness, positioning the vehicle in a way so as to capture backlit images of this apex predator – Francois’ expertise and photographic knowledge was clearly evident. 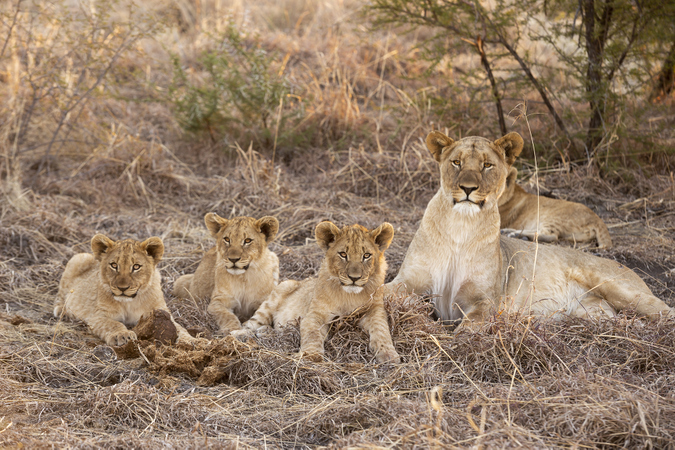 The evening game drives were a firm favourite, and on one occasion we encountered a pride of lions in the ideal spot to play around with backlit and lighting techniques. 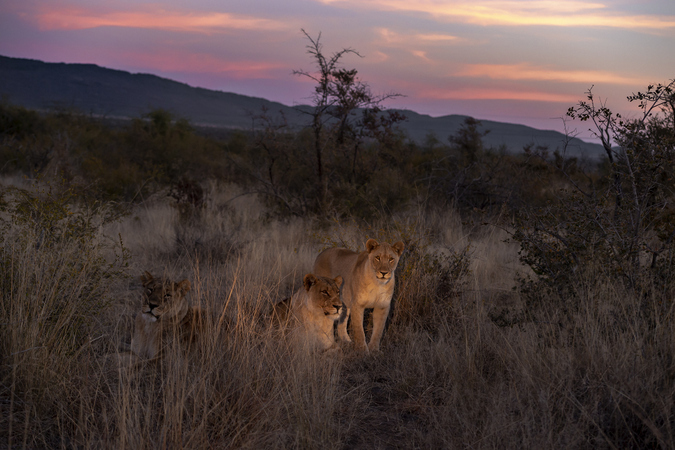 Sundowners were enjoyed slightly earlier than usual, for we always wanted to be ready and in the right location to capture the colourful and dramatic light effects that unfold at the end an African day. Whilst the routine each day might appear the same, morning and evening game drives were interspersed with photography workshops and field tutorials; the safari experience was different, unique and always enthralling. The magnificent Madikwe mesmerised us in all possible ways. Each day we would visit different areas, sometimes following leads shared on the radio, but most of the times wandering on our own and finding our own exclusive sightings. The thrill of discovering our own quarry was always far more satisfying than following a radio tip off. Moreover, this allowed us to spend more time and experiment at length with our photographic techniques, as we were not parked or encumbered by other safari vehicles (even though in Madikwe there is a strict protocol regarding number of vehicles per sighting). 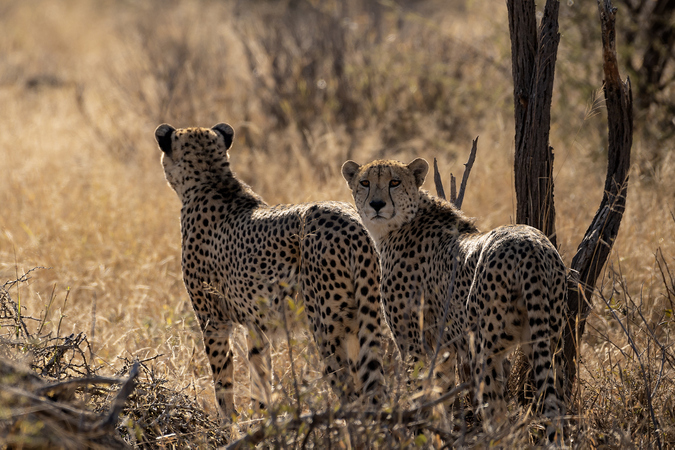 One exclusive experience amongst many was following the tracks of cheetah and eventually finding a coalition of three male lions feasting on a fresh kill of wildebeest. In fact, a black-backed jackal ‘guided’ and led us to the feast! Safari highlights included a leopard in a marula tree; watching a pale chanting goshawk hunt a yellow-billed hornbill; witnessing the mutualistic camaraderie between yellow-billed hornbills and dwarf mongooses; listening to the roaring of lions; watching a pair of cheetahs on the hunt; and photographing the elusive caracal. Reluctantly on the last morning we had to pack our bags and bid a sore goodbye to this mesmerising place for a while, with a promise to return! 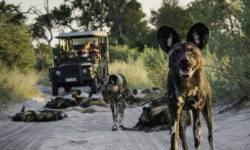 With full conviction and my experience in guiding photography tours over the years, I would say that this safari experience could be rated amongst the best Africa has to offer – beautiful accommodation, expert guiding, stunning landscapes, and flawless arrangements by Africa Geographic. 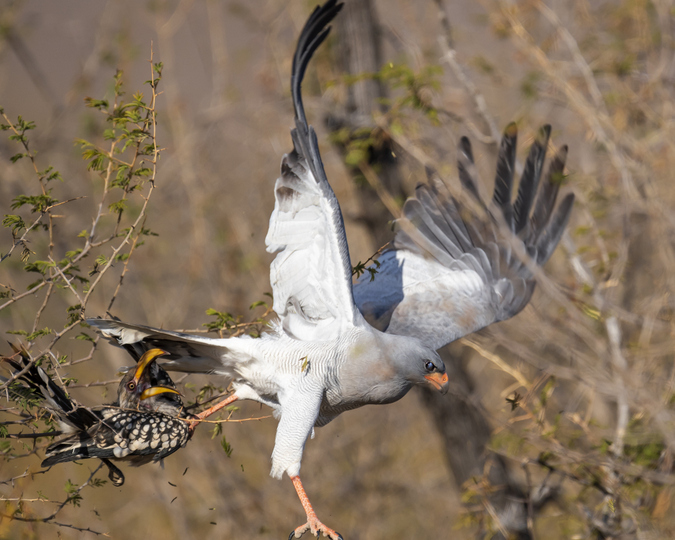 Six lucky guests will have the entire Leopard Rock Lodge (9-16 August 2019) or Kukama Lodge (23-29 August 2019) to themselves during this photographic safari with professional photographer Matrishva Vyas, along with the guiding expertise of Mark Lautenbach (Leopard Rock Lodge) and Francois van Heerden (Kukuma Lodge). 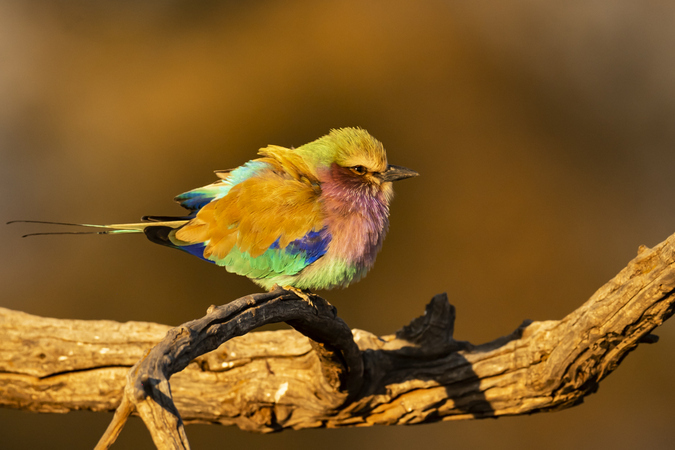 Explore the Big 5, malaria-free Madikwe Game Reserve and maximise on the fantastic photographic opportunities. 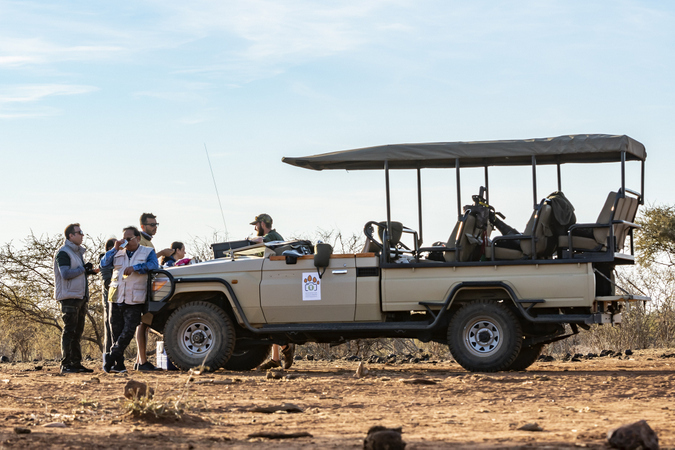 For more information about the photographic safari, have a look at the itinerary for Leopard Rock Lodge here, and the itinerary for Kukuma Lodge here. Should you be interested in joining Matrishva on one of next year’s trips, then please do not hesitate to contact us. Travel in Africa is about knowing when and where to go, and with whom. A few weeks too early / late and a few kilometres off course and you could miss the greatest show on Earth. And wouldn’t that be a pity? 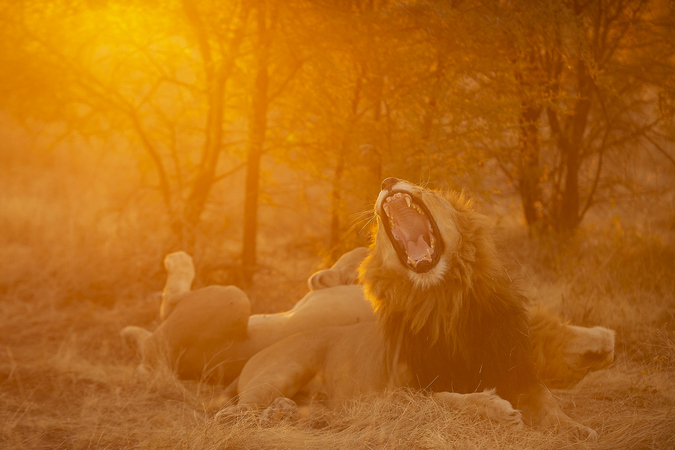 Contact an Africa Geographic safari consultant to plan your dream vacation.